Christmas Day lunch or dinner. WHILE we all like to have a nice bottle or two on the table for family and friends joining us for Christmas Day lunch or dinner, "nice" for some equates to "expensive," yet with a bit of judicious buying such doesn't necessarily need to be the case. And in anticipation of the big day ourselves we started the month with a bit of early shelf-gazing, inspired by the fact we plan to offer a different wine to suit each course come Christmas Day, rather than just one white or one red to see through the whole meal. We also set a price target of "$10 or so" for each choice to see if we could contain costs without sacrificing quality and flavour. And remarkably we came home not only within budget, but more than impressed with our purchases that we taste-tested with some obliging "guinea pig" neighbours. And if you too are looking to offer a different wine appropriate to each course this Christmas, and not break the bank doing so, here's what we chose in our test run. For welcome drinks as guests arrive and as an aperitif with nibbles and finger food, bubbly is an obvious. We opted for Yellowglen's special Festive Season "Yellow Glitter Pack," a nice crisp, elegant and dry fizz that bursts with melon, pineapple and citrus flavours. Officially $13, you'll get it at $10 or even less at most major outlets. If seafood's your option this Christmas, at just $10 – and as low as $7.60 at one liquor chain – is McGuigan Wines' Black Label 2016 Chardonnay. With Hunter Valley master, Neil McGuigan behind this one it's an ideal match with seafood, having wonderful sweet tropical fruit and melon flavours, coupled with a delightful creaminess and a touch of vanillin from a light use of oak. A real 'Bravo' $10 drop. out a grand Christmas lunch or dinner. And for traditionalists for whom turkey is the only option on Christmas Day, from the Riverina comes a 2016 Shiraz under the renowned Calabria Family Richland label. A recommended $11, but under $10 at some larger outlets, this one's full of varietal fruit and spicy black pepper flavours that go so well with that turkey, baked vegies and gravy. We're sure the Calabria's themselves will go for this at their place – although not head honcho Bill Calabria himself… believe it or not, he's a teetotaller. And finally for those with still enough room for Christmas pudding, put a bottle of Penfolds Club Reserve Tawny Port on the table with this. It's perfect – at just $15 or a little less at larger outlets, its rich dark berry fruit flavours and a caramel sweetness make it a hand-in-glove match with that pudd. HAPPY CHRISTMAS! – what more could one ask for? ONE TO NOTE: A NOVEL idea if you're still looking for something different and rewarding for that wine-loving friend or relative this Christmas, is an Adelaide Hills Chardonnay, or a McLaren Vale Shiraz or an Adelaide Hills Sparkling Pinot Noir Chardonnay that are all excellent wines from Wolf Blass, and which bear wonderfully colourful one-off labels by acclaimed Australian artist David Bromley. These Bromley by Wolf Blass wines are $30 a bottle each, with their labels featuring some of Bromley's most recognised art from his Birds, Nudes and Butterflies series. And while making for excellent and unusual gifts for those who enjoy their wine and art, they're also great statement pieces for buyers' own homes too. with all manner of dining opportunities. FOR those who like their Merlot, Margan Family Wines have released an interesting and tasty 2015 from their Broke property in the Hunter Valley, a drop that makes for a great match with a whole list of dining options for this time of year's entertaining. It is interesting because this 2015's fruit is off vines on their own roots rather than having been grafted onto other stock, and tasty as it's true to variety with loads of primary fruit flavours, a touch of spice, and with nice soft tannins. In short, a quaffable, early drinking style of the finest order to enjoy with anything from meatloaf to lamb leg roast, lasagna to barbecued veal chops, or pizza to spaghetti Bolognese. And interesting too because 2015 was a difficult vintage in the Hunter, with a dry Winter and Spring rolling into a then-wet December, January and February. Which all meant for a threat in particular to the region's red harvest. But Andrew Margan says that while those difficult conditions are reflected in such reds as the 2015 Merlot by way of softer tannins than normal and slightly lower acidity, that resulting softness actually means for wines that can be enjoyed while still very young. So give this 2015 Margan Merlot a try at a nice $20 with the above food ideas. This interesting varietal whose quite tiny berries produce a wine almost impenetrably black in the glass, originated in France, but today is found mainly in only Australia (principally the Riverina and Rutherglen in Victoria,) and in California and Israel. Bill Calabria's Three Bridges Durif is intensely flavoured with dark plums, Morello cherries, coffee and coconut to the fore, has toasty vanillin oak and a nice little spiciness. At $25 it's a great match with those dining suggestions above. IT doesn't take much to have us singing the praises of Neil McGuigan for what he gets up to at McGuigan Wines in the Hunter Valley, and none more so than after we get down and cosy with one of his Semillons. For if the Hunter is acknowledged as the world's premier region for the best of Semillons, and the McGuigan Bin Series Semillons renowned globally as the company's most-awarded wine, it must mean Neil is justified in taking a bow for the international recognition these of his are accorded. And if you've a very special event coming up and are thinking seafood at the heart of it, an ideal wine to match would be the 2013 vintage of the McGuigan Bin 9000 Semillon. For here's a wine from a season that while it saw many a challenge thrown up at the team – from dry and cool, to heatwaves and rain – is fresh and light in its younger years, but then goes on to develop into a classic rich honey and toasty Hunter style Semillon with nice long cellaring potential. At $30 make it a feature alongside fresh prawn cocktails to kick off special events, and go on to share it with main course platters of grilled seafoods. A RIPPER alongside fresh prawn cocktails to kick off special events, and then with follow-up main course platters of grilled seafoods. The 2016 Pier One Sydney Harbour NSW Wine Awards has just announced the main Trophy winners for this year's Awards and yet again the results have excited judges, industry professional and wine lovers alike. 2016 Chair of Judges PJ Charteris commented on how the overall medal count was up again this year and said, "The most exciting thing was seeing the diversity in region and variety. NSW winemakers are having a red-hot crack at producing high quality wines from old and new varietals and this is a tribute to the passion and strength of the NSW wine industry." The sold-out Presentation Lunch was held at Pier One Sydney Harbour on Friday 28th October, with quests of honour the Governor of New South Wales, His Excellency General The Honourable David Hurley AC DSC (Ret'd), and Minister Niall Blair MLC, Minister for Primary Industries and Minister for Lands and Water, being there to say a few words and be amongst the first to find out which gold medal winning wines would take home the ultimate Trophies. Also in attendance were NSW Wines valued supporters Pier One Sydney Harbour, Wine Australia, NSW Department of Primary Industries, Multi Color, Longfellow's Insurance, Orora Stelvin, Riedel, Australia Post, CCL Label and CiSRA Canon, without whom the event couldn't take place. During the presentations, President of the NSW Wine Industry Association Tom Ward thanked all involved and commented on the high quality of judges involved in this year's show. He also said, "This year we continued the theme of going to the regions for judging. We were lucky enough to spend time in the Hunter Valley and I think this is an unique way of judging that exposes not only the judges to the region but also allows the region to get engaged with the show – we appreciate all the people that gave their time to assist in the event. I am happy to announce that next year we are looking to host the wine show in Mudgee and working with them to deliver another great experience." 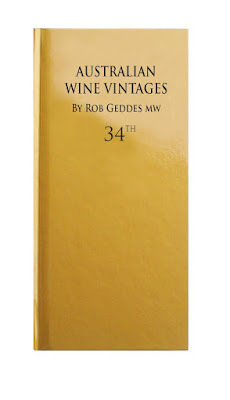 This year, Central Ranges wines (which incorporates the regions of Mudgee, Orange and Cowra) were the big winners, with 9 trophies, followed closely by the Hunter Valley with 8, and then the Southern Highlands and Hilltops also claiming well deserved accolades (please see full list of Trophy winners at end). The champion of the Awards was Windowrie Estate from the Cowra, who were awarded the ultimate title of 'Pier One Sydney Harbour 2016 NSW Wine of the Year' for their 2015 "The Mill" Shiraz. The Trophy was claimed by winemaker Anthony D'Onise who was representing Windowrie Estate owners the O'Dea family. The O'Dea's started growing grapes in the 1980s and then opened the Cowra region's first ever winery. Their winning Shiraz was described by PJ Charteris as a worthy winner and "a wine that expresses its beautiful fruit first and foremost. It is great to see fruit and distinctive varietal fruit character as the defining features of a wine". Another great achievement recognised at the Presentation Lunch was the work of Bruce Tyrrell who was awarded with the Graham Gregory Award for services to the NSW wine industry. Minister Niall Blair MLC presented the award to Bruce, commenting on Bruce's many years of hard work within the industry and how he had done so much for our state and country. Bruce very humbly accepted the award explaining, "I have just done what I thought needed to be done … like in football, you are only as good as your weakest player so anything you can do to help, lifts us all up." He then threw down the gauntlet to the other winemakers in the room, expressing his desire for the next generation to continue this work." Tom Ward concluded by saying, "I look forward to the year ahead and am optimistic that we have an industry that is heading forward. I will leave you with some numbers to support that optimism; shipments from NSW-based wine exporters increased by 8% to $487 million in the 12 months ended September 2016. This represented additional revenues of $35 million over the year." But rosé is equally for enjoying in our colder months as well, and both with main courses and desserts – for mains it's hard to beat a good one with Thai chicken in a coconut curry sauce, and for desserts to share with warm winter fruit tarts and pies. One that's ideal for such occasions is Blossom Hill's 2015 Rosé that absolutely bursts with juicy fruit flavours – think lush and vibrant fresh-picked strawberries, cherries and watermelon – and which makes it perfect with those wintertime main and dessert suggestions. And the more so with its price tag of just $13. ROSÉ equally enjoyable with wintertime mains like Thai chicken in a coconut curry sauce, or desserts of warm fruit tarts and pies. And, the company adds, while the winery's founder was a Mr de Castella whose first name also just happened to be Hubert, he chose to name his winery after the Patron Saint and not simply Hubert after himself. By the late 1800s it had grown to be the largest winery in the Yarra Valley, but after WWI and then the Great Depression it was turned to more-profitable dairying, which continued until the Yarra rose to wine prominence once more in the 1960s, with St Huberts again a pioneer. Today this premium cool-climate maker is hailed world-wide, and a new label it's just released and appropriately named The Stag, is fast winning praise from all quarters. Try in particular the 2016 The Stag Chardonnay that's all wonderfully vibrant citrus and pear flavours, lively acidity and with a mouth-pleasing freshness… at just $20 it's a really great drop to simply enjoy on its own, or to pair-up with salmon fish cakes. NEW label from a Yarra Valley winery whose history goes back to 1862. ONE TO NOTE: TIM Adams and Brett Schutz, winemakers at the Clare Valley's Mr Mick Wines, have released a 2016 Rosé that Mr Mick himself (the late and legendary Mick Knappstein who had a great passion for Rosé,) would be more than delighted with. Because this one's been made in the style Mick Knappstein enthused over – fresh, easy-drinking and in his words "for everyone to enjoy." And particularly so with food, yet at the same time also being a great drop to enjoy on its own as an aperitif. With subtle apple, raspberry and strawberry fruit flavours and nice fresh acidity, this is a Rosé that will go perfectly with Asian dishes, or any other foods with a little spiciness. Pay $17, and while enjoying this one raise your glass to the late Mr Mick. A ROSÉ made equally for enjoyment with food, or on its own as an aperitif. ONE TO NOTE: ALTHOUGH launched only in 1996, the Barossa Valley's Pepperjack Wines have amassed an extraordinary following of devotees to their bold, rich and vibrant reds that are made purely with steak lovers in mind. And while still young, they've heritage in being part of Saltram Wines that was founded in the Barossa 157 years ago by English immigrant William Salter and his son Edward, with an initial 4ha of Shiraz, and their cellar simply a hole in a hillside. A just-released Pepperjack 2015 Barossa Shiraz is all concentrated layers of blackberry, blue fruits and oak, nicely balanced with soft tannins for absolute full-on flavour; and at $30 it's made to enjoy with just one thing, your favourite steak. FROM the Barossa Valley, this one's made with just one thing in mind, your favourite steak. PETER LOGAN has been making Chardonnay at his Logan Wines at Orange in the NSW Central West for some nineteen years now, yet he still muses over whether he's got it as perfect as has been his goal. "In fact I'm not sure that gaol will ever be reached," says Peter, "even though every year we continue to evolve this wine towards an even better place." And that includes as a sideline to that continuing evolution, now achieving exceptional sales not just here in Australia, but throughout Asia and in northern Europe as well. Made from cold climate fruit (his vineyards are some 970m above sea level,) Logan Chardonnay has always been a wine of elegance and sophistication, and with his latest, now- available 2015, Peter strove to create a drop that would be "elegant but not anaemic, savoury with a touch of fruit, and having minerality with texture." And beautifully balanced, it boasts a nice mix of subtle fruit flavours, plus a touch of almond, on a mineral palate with a gentle smoothness to it. And while it spent some time in oak prior to bottling, this has not overpowered the wine's fruit characters. Pay $25 and enjoy it with shellfish, a seafood pie or chicken terrine. Is that perfect? 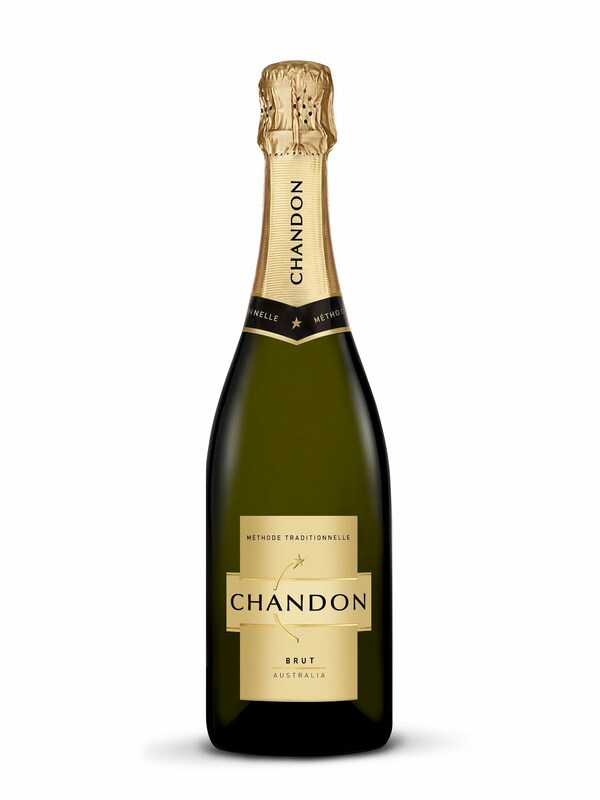 PERFECT match, Chardonnay and shellfish, or a chicken terrine if you aren't into seafoods. it's a white that was made as if it was a red. 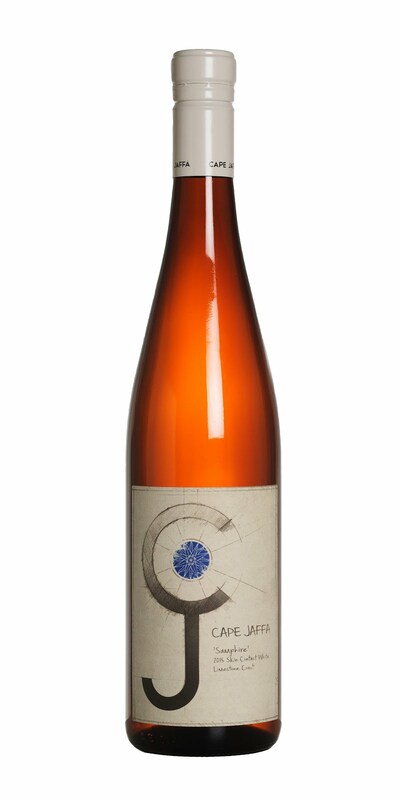 IF you've a sense for adventure in your pursuit of wine drinking enjoyment, a particularly intriguing drop to search out was released just recently under a Samphire label by Cape Jaffa Winery on South Australia's Limestone Coast. Interesting because while predominantly Chardonnay with a little Gewurztraminer and Viognier, this one was made more like it was a red than a white, including not only unusually fermenting the fruit on skins, but doing so for six months… something that its makers Derek and Anna Hooper say "called for courage and patience." The Hooper's were inspired to create this unique wine after seeing such drops on a visit to Georgia in Europe, and took a largely traditional Eastern European approach to its making on their return home. That effort has rewarded them well, as this is a lovely medium to full bodied wine with lots of mouth-feel and a relatively soft finish. your reds big and hearty. ONE TO NOTE: IF you like your reds big and hearty, one to grab (or maybe two or three) is the just-released 2013 Tim Adams Shiraz. A blend of fruit off three Clare Valley vineyards, this is a gutsy drop that leads on the palate with blackberry and mulberry fruit flavours, some spiciness and hints of mint, and a strong reminder that it spent twenty-four months maturing in American oak. And surprisingly it's just $25 to enjoy now, or to tuck away in the cellar to around the mid-2020's. If you're going to buy and drink now, match it with a good steak, or with hearty kangaroo or venison dishes. fruit driven and full-on in flavour. IT'S over forty years now that Yellow Label has been at the heart of winemaking at Wolf Blass wines, delivering to buyers a range of wines from South Australia that are consistently fruit driven and full-on in flavour. And amongst latest releases is a 2015 Chardonnay out of a vintage that started warm and dry, and was followed by much-needed rain and ultimately warm days and relatively cool nights. Then a final burst of heat in late January saw an early and condensed harvest, and as a result more of those wonderfully full on flavour wines. The 2015 Yellow Label Chardonnay particularly benefited from all this, with loads of stone fruits to the fore and nicely integrated oak, and whilst made with food predominantly in mind, it can be equally enjoyed as a glass or three on its own. And as well, although best enjoyed young and fresh, some short-term cellaring will see it develop further complexity. Pay $18 and enjoy this one with what its makers suggest – creamy veal Stroganoff with mushrooms and parsley, or pumpkin ravioli with sage butter sauce. No fewer than 28 craft cider producers will showcase 112 different ciders at the 2016 Australian Cider Festival to be held in Melbourne on Saturday. The finalists of the 2016 Pier One Sydney Harbour NSW Wine Awards have just been revealed, with the talented winemakers of the gold medal winning wines being informed over the long weekend. President of the NSW Wine Industry Association and Awards judge Tom Ward said, "The wines vying for top honours are as diverse as we have ever seen, not just by region but by grape variety and style too. It is really exciting to see wines made to the highest standards from varietals such as Montepulciano, Tempranillo, Pinot Gris and Malbec, as well as the more traditional NSW varieties. We also some outstanding examples in the sparkling and sweet wines." 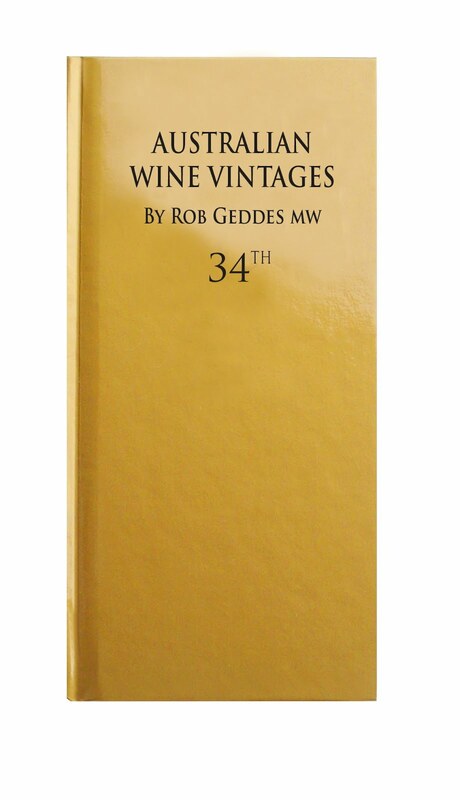 Please see a full list of the wines competing for trophies below. Preliminary results for all entries can also be accessed at www.nswwine.com.au . The producers of these wines have a lot to be happy about. As well as receiving a 2016 gold medal and now being in the running to receive one of the 19 coveted Trophies - including the ultimate title of '2016 Pier One Sydney Harbour NSW Wine of the Year' - they will also be honoured at a reception at Government House. This event will be hosted by His Excellency General The Honourable David Hurley AC DSC (Ret'd). Earlier this year the Governor of New South Wales made his first purchase of NSW Wine Awards winning wines (from the 2015 Awards), in keeping with his commitment that only wines made in NSW will be served at events held at Government House. Announcement of the top 2016 Trophy winners will take place on Friday 28 October at the NSW Wine Awards Presentation Lunch at Pier One Sydney Harbour's newly hatted Gantry Restaurant. His Excellency General The Honourable David Hurley AC DSC (Ret'd) will also be attending the Presentation Lunch as a guest of the NSW Wine Industry Association. chops topped with a fennel relish. ONE TO NOTE: NEW ZEALAND's quirky-named Squealing Pig has released its first ever Syrah, from the 2015 vintage in Hawke's Bay on the east coast of the country's North Island. The country's oldest wine region dating back to 1851, Hawke's Bay enjoys plenty of sunny days, and a particularly warm 2015 vintage resulted in fruit that year with great concentrations of flavour and ripeness, and resultant wines of wonderful elegance. Red berries and dark cherry fruit flavours, coupled with dusty tannins in this 2015 Squealing Pig Syrah, make for it being a great match alongside lamb loin chops topped with a fennel relish. Pay $26 at Vintage Cellars. charcuterie board or cheese platter. TO mark the company's 20th vintage, winemaker Peter Logan has released a very special 2016 Pinot Gris from his Logan Wines at Orange in NSW's Central West. 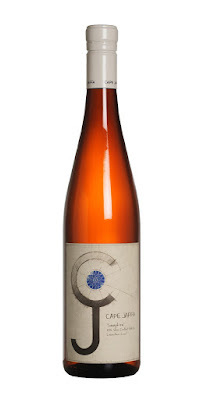 "We named it Clementine because like its namesake this wine has a vibrant spark to it, is a little unorthodox, makes an impression, demands your attention, is pretty, plus it's also complex and it puts a smile on your face," Peter says. And he says that including the skins in the ferment has given this Pinot Gris a fuller range of complex flavours than normal, a tang on the palate, and a crunchy finish from the tannins released into the wine from the skins. "The flavours are more savoury than traditional Pinot Gris, and with the tannin cleaning the palate it makes for a great drop with a charcuterie board or cheese platter," Peter adds. And we like it too for its good-value price tag of $23. Top Sweet Wines up a Creek with a Trophy for a paddle! The 11th annual Australian Sweet Wine Challenge (ASWC) presentation dinner was held in Griffith NSW tonight (Friday 30 September) to unveil this year’s top sweet and semi-sweet wines. As in previous years, the wines competing to get crowned the best within their style came from all over the country and were crafted from a wide range of grape varieties, including Semillon, Sauvignon, Pinot Gris, Viognier, Muscadelle, Taminga, Moscato, Verdelho, Gewurztraminer, Riesling and blends of the former varietals. Despite the diversity on offer at the 2016 ASWC, when push came to shove (by some very narrow margins) it was the Riverina and Semillon which shone on the night, collecting the majority of the Trophies. Sophie said, “This result endorses one of the local strengths, something for which the Riverina region can feel extremely proud: producing Australian benchmarks of a wine style that is not only a labour of love, but extremely difficult to execute well." De Bortoli Wines 2008 Noble One. So experience the sweeter side of life this year with wines from the 2016 Australian Sweet Wine Challenge. Beautiful things really do come in little packages! The 2016 Riverina Wine Show results were announced tonight at a gala dinner in Griffith NSW (Friday 30th September). This is the 42nd time this annual wine show has been successfully held in the Riverina but this year saw a first with the presentation of two shows within one: the inaugural Riverina GI Wine Show - with entries limited to wines from the Riverina Geographical Indication (GI), and the Riverina Wine Show Open Classes - open to wines from all across Australia. The new Riverina GI Wine Show was designed to throw the spotlight on the provenance of wine produced in the Riverina and give the local wine industry a new forum where they can celebrate the diversity of the Riverina and highlight the specific character and qualities of the wines produced there. And this first year seems to have fulfilled all those aims with a panel of judges - headed by wine journalist, sommelier and consultant Sophie Otton – expertly critiquing their way through strong entry numbers spread across 11 different wine classes of wines made from Riverina fruit. The Durif class was as hotly contested as ever, with judges commenting on it being an “excellent class – good fruit, good colour and good concentration. Good winemaking, full stop!” In the end theMcWilliam's Wines Hanwood ‘1913’ Durif narrowly won top marks to claim the Best Durif Trophy for the 3rd year in a row. The judges were also delighted to see such diversity and high-quality amongst the Riverina GI ‘Dry Red, Other Varieties & Blends’ class, with expressive and skilfully crafted examples of Touriga, Montepulciano, Petit Verdot and Lagrein all made locally. Chair of Judges Sophie Otton said, “Each and every wine skilfully expressed its individuality and varietal character. It was difficult to choose between them.” And it was a wine within this class that ultimately won the title of Best Still Wine from Riverina Fruit – the McWilliam's Wines 2015 Hanwood ‘1913’ Touriga. Unsurprisingly, McWilliam’s Wines also then went on to claim the Trophy for Most Successful Exhibitor of Riverina Still Wines. In this part of the awards presentation, the big winners of the night were the Pfeiffer Wines NV Grand Rutherglen Muscat that won the Best Fortified Wine Trophy, the Mount Pleasant Wines 2009 Elizabeth Semillon that claimed the Best Popular Premium White Wine Trophy, the Casella Family Brands 2015 Young Brute Shiraz that was awarded the Best Popular Premium Red Wine Trophy and the Tempus Two 2015 Pewter Poppy’s Block Chardonnay that won the ultimate title of Best Still Wine of Show. For a full list of all Trophy winners please see below. The results have been announced just in time for the unWINEd in the Riverina festival, which will be held around the towns of Griffith, Leeton, Yenda, Bilbul, Hanwood and Tharbogang over the October long weekend; celebrate what the Riverina wine region has to offer with plenty of delicious wine tastings and cuisine, live music and plenty of other events. mushroom dishes, spring lamb or oily fish. 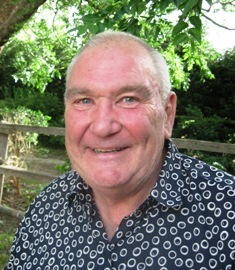 ONE TO NOTE: A STINT of living in France saw Jim Lumbers falling hard, he'll tell you, for the intoxicating aromas and unparalleled complexity of Pinot Noir – so much so, that on his return to Australia he spent months searching for a site that came as close as possible to the variety's ideal growing conditions as he'd seen in Burgundy. And when he ultimately found it in the Cullerin Ranges overlooking Lake George in the Canberra District, he established his Lerida Estate vineyard in 1997. Today that vineyard absolutely thrives with vines he got from selections off some of the greatest in Burgundy, and for lovers of Pinot Noir his 2014 is one to really look out for. 2014 was a great vintage in the Canberra District, and Jim's Lerida Estate Lake George Pinot Noir explodes with luscious fruit flavours and integrated tannins; at $26.50 enjoy with a variety of fare from duck to mushrooms, spring lamb or oily fish. THERE would be others, we suspect, would lay claim that a wine comprising no less than five varieties, was the result of their carefully hand-selecting fruit off as many vineyards or blocks as there were varieties, and then judiciously blending these to specific proportions of each. 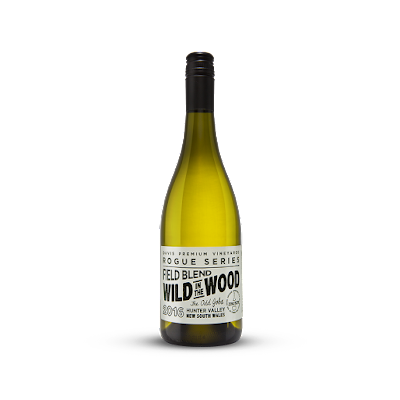 But not John Davis, owner-vigneron of Peppertree Wines in the Hunter Valley and his Head Winemaker, Gwyn Olsen when it comes to their 2016 Rogue Vineyard 'Wild in the Wood' Hunter Valley Field Blend. Because they'll readily tell you that this one's the result of a "misfit" block planted somewhat haphazardly 20 years ago with left-over Semillon, Chardonnay, Verdelho, Vermentino and Sauvignon Blanc from other blocks rather than be wasted, and today simply all-in machine harvested. And that resultant wine turns out in fact to be a really rewarding drop, with lingering individual varietal characteristics and lovely mouth-feel. Pay $30 and enjoy on its own as warmer days approach, or at the table with a range of lunch or dinner-time seafood, chicken or veal dishes. Or as we did, with pan-fried pork loin chops, apple sauce and potato cakes. A GREAT drop today from a misfit block planted somewhat haphazardly 20 years ago. alt and pepper calamari, or chicken enchiladas. ONE TO NOTE: TASMANIAN makers have thrown up some ripper Rieslings over the years, products of the State's cool maritime climate that the variety thrives in. One such maker is Riversdale Estate in the southern Coal River Valley region just 20km out of Hobart, and which has recently released a beautifully rewarding 2013 Riesling under its ultra-premium Cygnus label. Here's a wine made from fruit harvested in small bunches in peak-condition, and loaded with concentrated varietal characteristics and excellent natural acidity. It's nice forward, yet still delicate, citrus and musk flavours will particularly match beautifully with salt and pepper calamari, or pair it with chicken enchiladas. At $34 it's available online at info@riversdaleestate.com.au, by phoning (03) 6248 5555 or at the cellar door if you are visiting down that way. faster rate than any other variety in Australia. AUSSIE wine buffs it seems, are suddenly discovering Tempranillo, a Spanish red that although being grown in this country on cuttings brought from its motherland around the 1830s, for some reason never really took off. But come the end of the last century things suddenly changed, and to meet newly burgeoning demand the area of vineyards turned over to the variety blossomed in just ten years from a mere 41ha Australia-wide, to over 475ha by 2010. And sales of resultant wines are today growing at a rate said to be faster than any other variety. One maker with an exceptional Tempranillo is the Clare Valley's Mr Mick Wines, their currently available 2014 a nicely full-bodied drop with pronounced varietal cherry and strawberry fruit flavours, a hint of spice and a long and lingering finish. And all of which makes for it being a great drop with a homeland favourite, patatas con chorizo – potatoes with chorizo sausage and chili, that you could possibly say equates to something a bit like Spanish bangers and mash, and a bit spicy. At $17 enjoy it with that homeland dish, or equally with tacos, nachos or burritos. ONE TO NOTE: VICTORIA'S Toolangi Vineyards are interesting in that as well as having their own vineyards they also source additional fruit when they find exceptional quality available from other growers, and then contract to have it made by local makers they consider the very best at handling specific varietals. And their just-released 2014 Yarra Valley Pinot Noir reflects the benefits of this philosophy: fruit was 100% off their own Dixons Creek vineyard that had enjoyed almost perfect growing conditions, and they had the wine made by Franco D'Anna from Hoddles Creek and William Lunn of Yering Station… the two creating a cracker drop abundant with red berry and bramble fruit flavours, nice acidity and supple tannins – and great value at $28 with Peking Duck or herb-roasted pork tenderloin. WHEN Peter Rymill, fourth generation descendant of Scottish-born founder of Coonawarra wine region John Riddoch, decided that he wanted to build his own winery to make wine from the grapes he was already growing on his own Coonawarra vineyard, he set himself a strange goal. Also undertaking a professional course in winemaking, he said he would not build that winery until he had proven his skills by winning a gold medal at a wine show – and then went onto do more than that by taking out a trophy at the 1987 Australian Small Winemakers Show. And yes, then building his Rymill Coonawarra Winery. Today Peter has retired and it is his son John who is a great, great grandson of old John Riddoch who began it all at Coonawarra in 1890, and is managing director of Rymill Coonawarra. And amongst the many labels John oversees is The Yearlings, a range that really does seriously over-deliver in flavour and value at just $15. Try the recently-released 2016 The Yearlings Sauvignon Blanc whose every glass is a wonderful burst of crispy lime and tropical fruit flavours, accompanied by abounding fruity aromas. With our warmer months coming-up, it will make for a great match outdoors with seafood salads, grilled fish fillets or barbecued herbed chicken. The Mudgee Region will come alive once again to celebrate the 38th annual Mudgee Wine & Food Festival from 9th September – 3rd October, bringing together delectable wine and delicious food from across the region. The month long culinary festival hosts an array of events across the region’s top restaurants, bars, cafes and cellar doors. In a first for the festival, Mudgee will host a series of events over three nights dedicated to some of Mudgee’s most awarded winemakers. Learn the subtleties and nuances of a Mudgee drop and have the first-hand opportunity to experience how they differ to some of Australia’s most revered wines, as well as the rest of the world. “It’s exciting to see Mudgee Region’s many producers, growers and businesses come together and take part in the festival, providing visitors to the region with a rare opportunity to meet the makers behind the region’s fine produce and form a real connection with the Mudgee Region,” says Russell Holden, Chair of the Mudgee Region Tourism Board. Cheese lovers will not be disappointed, with an entire evening dedicated to cheese and wine pairing to help guide foodies through the culinary pleasures of life. As well as this, cellar doors will be open for extended hours, host one-of-a-kind events and collaborate with local restaurants to bring the worlds of wine and food together, whether that be with a simple tasting platter or a more extensive menu showcasing regional produce or cuisines of the world. Ted Cox, President of Mudgee Wine & Grape Growers Association, says: "The Mudgee Wine & Food Festival is one of the longest running celebrations in the region and there's no sign of slowing down either! More events are added each year and we're particularly excited about our three Wednesday evenings dedicated to learning about wine - nothing formal, just a great way to learn a little, or a little bit more, about Mudgee wine." From wine tasting to cheese pairing classes, and long lazy lunches with live music amongst the vines, this year’s event is set to be bigger and brighter than ever, highlighting the Regions country charm and sophisticated food + drink offering. 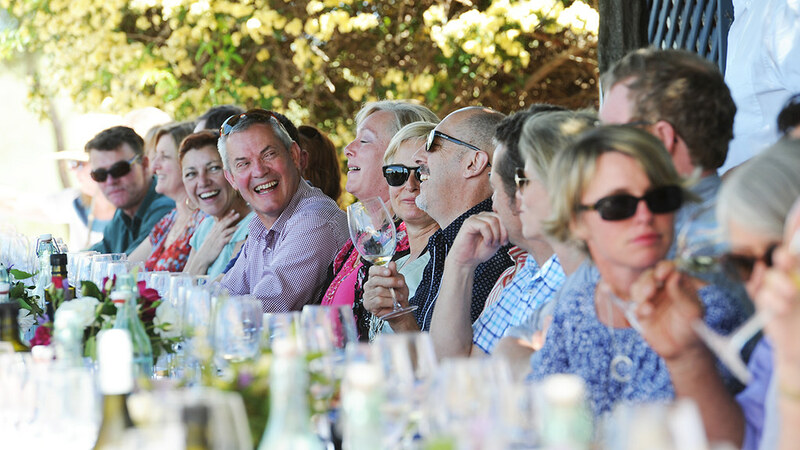 “Mudgee Wine & Food Festival provides visitors an authentic taste test of the very best of local wineries, food producers and cultural experiences in the region. For an entire month, visitors can skip town with their loved ones and get lost in the flavours of Mudgee Region and we’re really excited to play host,” says Leianne Murphy, Acting CEO Mudgee Region Tourism. 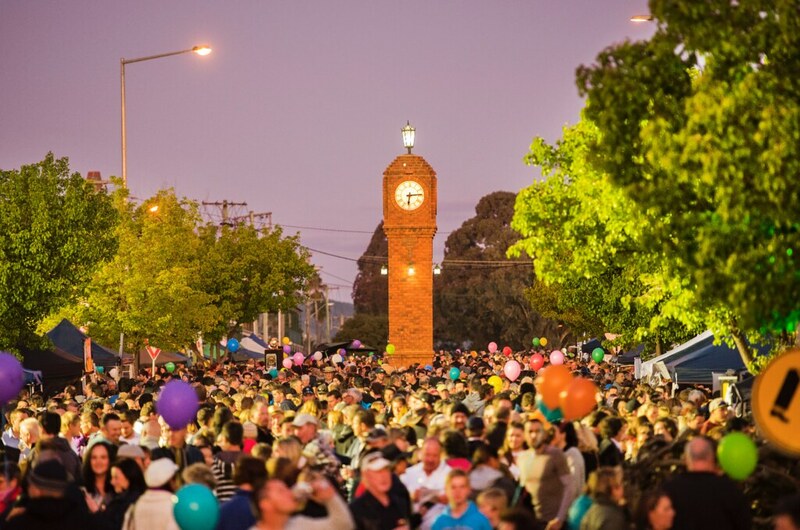 Flavours of Mudgee – The main street of Mudgee will close to traffic and come alive with an estimate of 8,000 festival-goers savouring the flavours of the region. Go Tasting - Taste wines from the Mudgee Wine Show including those that most impressed the judges during the annual wine maker’s competition. Mudgee vs Australia & Mudgee vs The World – This wine appreciation evening will give visitors a taste test of the best Mudgee wines the region has to offer. Farmer’s Markets - Bring a big basket and as many spare hands as you can to carry home all of the amazing Spring produce on offer. No matter what delights you when it comes to food and wine, you’re likely to find it in abundance during the festival celebration.